Having enjoyed Judith Kinghorn’s debut novel The Last Summer I eagerly anticipated her second novel The Memory of Lost Senses published by Headline on 23rd May. Whilst it is quite different, structurally, from her first novel, it retains that intensity, that evocative heart which characterised her first novel. It’s a novel about first love, sacrifice, intrigue and in particular the role of memory in shaping and refashioning our lives. The mysterious Countess at the centre of our story seems to have undergone a variety of metamorphises in the course of her eventful life – the exoticism of an expatriate lifestyle in Paris and Rome seems at odds with her final resting place, a sleepy Hampshire village. Does anyone know the real woman? Her closest friend, the novelist Sylvia, feels snubbed when young Cecily Chadwick is drawn into the Countess’ confidence but the long hot summer of 1911 takes its toll on the elderly lady’s memory or does she just want to forget the murkier scenes of her past? After a slightly shaky start, I was soon engrossed in the lives of these Edwardian ladies, swept along by the ebb and flow of Cora’s memories. A very thoughtful, evocative story which would make a marvellous film as would its predecessor. It’s been six years since the publication of Khaled Hosseini’s bestselling second novel A Thousand Splendid Suns and his fans have been eagerly awaiting his latest novel. Hosseini has said that it focuses more on the relationship between siblings rather than tales of fatherhood and motherhood. This is true but it also differs from his previous novels in other ways. This is an epic multi-generational family saga starting in the 1950s with a variety of settings – from Afghanistan to France, from Greece to the United States. Siblings Pari and Abdullah are devoted to each other but their paths take very different directions early on in their lives. Hosseini uses his skill as a master storyteller to weave a complicated pattern of family stories which take off in different directions. 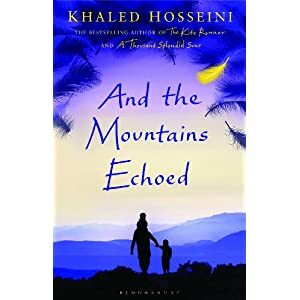 The narrative is quite complex, flitting between eras, characters and locations but Hosseini is always firmly in control, pulling the strings and easing the reader’s journey. I found the descriptions of siblings Abdullah and Pari’s childhood the most evocative and moving. Also, the story of their Uncle Nabi in Kabul and his dedication to his employer left a big impression on me. Less effective for me were the Greek interlude and the story of the Afghan Warlord Baba Jan – yes, they were linked to the main story but I found them less engrossing and found myself mistaking Baba Jan for a reincarnation of an earlier character – mea culpa! The final section of the novel, set in the US, was the piece de resistance for me. I won’t give away any spoilers but, suffice to say, Hosseini expertly captures the effects of age with quiet, understated but supremely powerful writing – a quiet domestic scene between siblings can be as, if not more, effective than all the battle scenes one can conjure. Like many other readers I have been fascinated with the character of Catherine Havisham since I first encountered her in Great Expectations at the tender age of 13. Jilted on her wedding day and frozen in time and bitterness in Satis House, she endeavours to wreak vengeance on treacherous, unreliable men via her ward, the irresistible Estella. Ronald Frame uncovers the human side of Miss Havisham, revealing an ambitious and vivacious young woman not yet tainted by the trauma of broken relationships. We see a young girl, an only child doted upon by her widowed father who lavishes her with gifts “Children, handpicked” are brought to play at Satis House but Catherine remains an outsider, the money coming from the Havisham Brewery marking her as different from the local villagers but still not quite good enough for noble families. Her one friend is Sally, the daughter of a labourer, but she is not a suitable companion for an heiress so Catherine is shipped off to the Chadwycks, a more socially appropriate setting for someone of her social stature. However the overriding impression is that Catherine is her own woman, a square peg trying to fit into a round hole, stuck in a limbo between new and old money. She’s never presented as a paragon of virtue but you feel she’s doomed to be an outsider, living on the periphery of others’ happiness. In this reimagining of Miss Havisham, Frame forges his own style and gives a realistic background to a very troubled lady. It’s a bit of a slow burner but give it time to breathe life into a ghostly figure and you will be rewarded with the compelling story of a much maligned and perhaps misunderstood character. A must for fans of Great Expectations. This is a promising debut novel which will appeal to fans of quirky fiction peppered with a dash of magical realism. Alternate chapters tell the stories of Abel, the Flayed Man and Eve, the Lion Faced Girl whose lives intertwine when they both perform in Josiah Arroner’s Palace of Curiosities. Estranged from “normal” society, they share a basic human need for acceptance and love. Their story is told in the present tense, similar to The Night Circus and like Erin Morgenstern’s debut, this will probably be a “marmite” read. There are elements of the grotesque as you might expect in a tale about those characters considered freaks by the rest of society – probably not to be recommended for those of a sensitive nature! 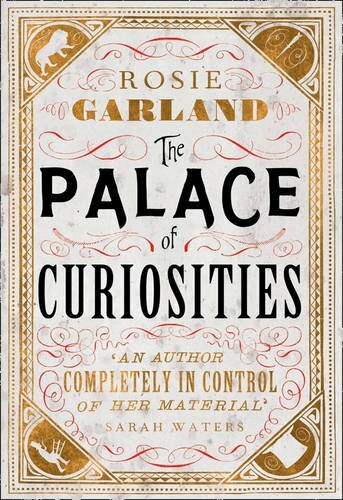 I really enjoyed this whimsical tale of unconventional characters set against the backdrop of a murky Victorian London. Looking forward to reading more from this author. The moors in Wuthering Heights, Egdon Heath in The Return of the Native, both settings which have drawn me in and remained with me long after turning the final page. Now I have a new setting to add to the favourites list – the island of Janus Rock, set in the wild, remote region where the Great Southern Ocean and the Indian Ocean meet off the coast of Western Australia. Here on Janus Rock, in the aftermath of World War I, ex-serviceman Tom tends the lighthouse and he and his wife Izzy hope to raise a family here. Their plans are thwarted until one day, a foundling is washed up on the island and Izzy’s desire for a child of her own overrides any sense of moral obligation to investigate the child’s origins. I loved how the author describes the love story of Tom and Izzy in a completely non-judgemental way, leaving it up to the reader to decide whether to make any moral judgements. I was drawn into the lives of the main characters, particularly Tom who still feels the emotional fall-out of his time in the army. You know in your heart that things will not turn out well for Tom and Izzy. Who could possibly live with such a heavy secret? You know there can’t be an idyllically happy ending but you find yourself rooting for these characters knowing that they mean well. This is a compelling, beautifully written story peopled with real, flawed characters. It’s hard to believe it’s a debut novel. My knowledge of Cambodian history and the role of the Khmer Rouge is rather limited, based on viewing the excellent but harrowing film, The Killing Fields when I was 20. 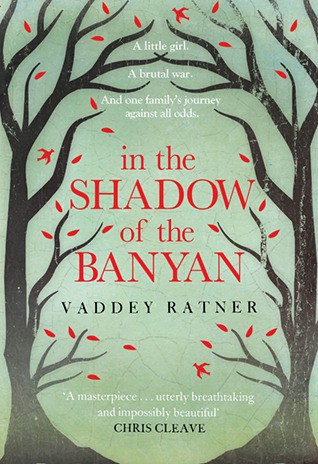 I relish the opportunity to discover the history and culture of other countries through fiction and In the Shadow of the Banyan has the added kudos of having an author who experienced these desperate times first-hand. The author allows us to view the horrors of civil war up close but filters the more gruesome aspects by using a very young narrator, the seven year old Raami who has been swept from a life of privilege in an aristocratic family to the grass roots of a peasant existence. The language is so elegant and beautiful, very lyrical at times, allowing the reader to see the beauty and grace of the humans at the centre of this dreadful war. 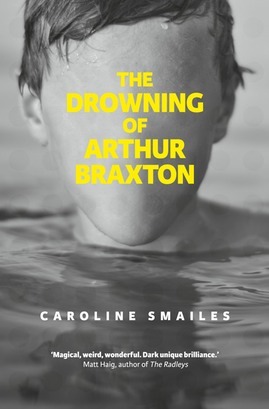 Ironically it is the exquisite nature of the prose which causes this to be a good but not great read for me as I just can’t get past the fact that the narrator is only 7 years old yet capable of such eloquence. Maybe it’s because I have young children myself but it seems incongruous for such a young child to express herself in such a consistently lyrical manner. Having said that, it is an extremely moving read and a very good introduction to the troubled history of a country which, in my opinion, has been rather overlooked by the world of literature. I loved A Taste of Sorrow, Jude Morgan’s wonderful novel about the Brontes and hoped to be similarly thrilled by this window onto the world of William Shakespeare. Unfortunately the view is rather blurred, to the point of opacity and I was left feeling slightly bewildered and convinced I must have missed something which was so obvious to other readers….so I waited a month before reviewing, thinking that I’d soon experience some sort of epiphany, a dawn of understanding but nope…it didn’t arrive. If Shakespeare remains elusive and reclusive, we at least have some interesting snippets via Morgan’s portrayal of Kit Marlowe and Ben Jonson. Anne Hathaway captured my attention also, a feisty lady whose stoicism allows her to survive extended time with the in-laws, raise a family, all with her husband living away from home. Unfortunately these characters weren’t enough to hold my interest in a novel whose central character remains not only enigmatic (enigmas can be interesting!) but extremely dull and dispassionate. Overall, a disappointing read for me. I should really stick with the Brontes as they rarely disappoint me!